You'll be £12.99 closer to your next £10.00 credit when you purchase Lost To The Sea – Norfolk and Suffolk. What's this? 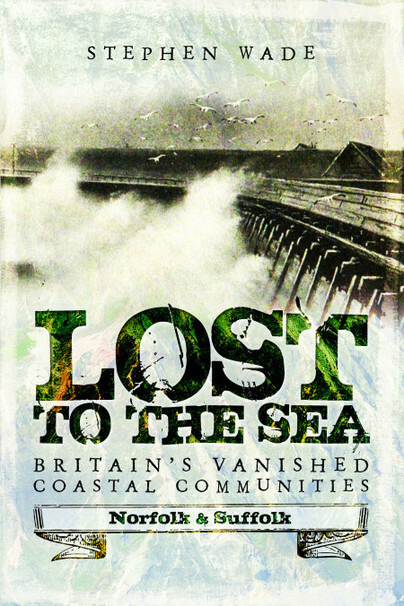 Lost to the Sea: Norfolk & Suffolk relates the stories of how the human communities along the coast of these counties maintained their struggle with the sea. From very early Neolithic times, when global changes created the Continental Shelf and raised the cliffs along Britain's eastern shorelines, through Roman and medieval times, the first villages and towns were gradually established, only to be faced with the problem of the sea's incursions onto agricultural land. In the 1950s, Rowland Parker's classic study of Dunwich, a key town of Suffolk engulfed, set the scene for a long-standing interest in how the sea's challenge has been met. There have been successes and failures, and Stephen Wade tells the story of the seaside holiday towns and fishing communities that have had to struggle for survival. In this book, the reader will find stories of the people involved in this titanic effort through the centuries. The narrative moves down the coast from Hunstanton to Southwold, tracing the losses and the gains, not only in measurements of land, but in the tough human experience of that environmental history. For centuries coastal communities in Norfolk and Suffolk have battled against coast erosion. Stephen Wade traces the story of some of these towns from the Bronze Age to the 20th century. Along the way he uncovers interesting anecdotes about individual lives and the culture of the communities. This newly published book Lost to the Sea, Britain's Vanished Coastal Communities: Norfolk & Suffolk, is an engaging and well-researched account which doesn't just focus on those communities – most famously, Dunwich – which have been claimed by the waves. Instead, the book is a look at life over the millennia for those villages and towns strung along the whole of our famously restless coast. 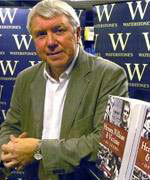 Stephen Wade is a professional writer specialising in regional crime, family heritage and nineteenth century history. He has written numerous books for Pen and Sword, most recently Britain’s Most Notorious Hangmen, Tracing Your Police Ancestors and DNA Investigations.